Healthcare organizations are spending billions of dollars a year protecting their networks. While many institutions are still trying to get caught up, and still struggling with ransomware attacks, other companies have new threats – the Internet of Things (IoT) and mobile technologies. It has become more prudent for the healthcare industry to rely on IT outsourcing services to add a specialized layer of security to their networks. In many cases, cybersecurity threats are not from poor technology, but oftentimes due to a lack of properly trained individuals and lost devices. However, when a mobile device is lost, then cybercriminals have full reign over your networks at work and at home. It is important for healthcare organizations to understand that ’employees’ includes upper management. In fact, it was reported that over 32 percent of CEO’s cell phones were attacked by some form of cyber attack, and 22.5 percent were actually infected by a medium- to high-level malware. It is imperative for all employees to not click on that email unless they know it is from a secure sender. This has been repeated many times, and everyone says they know this, but it is still the number one way cyberhackers gain access to mobile technologies. This does not only apply to corporate phones. Personal phones can also get hacked and bring viruses into the workplace. That is why it is important for employees to follow IT protocols when connected to corporate servers. IT outsourcing can help by adding multiple levels of security, like two-way authentication services to make it harder for hackers to access the network via mobile devices. IoT includes everything from cell phones to laptops to wireless watches and wireless home security alarm systems. If it is wireless then it is counted as an IoT device. This can also include your refrigerator, corporate temperature controls, and all new technologies involving medical equipment: MRI machines, location bracelets, and pacemakers. If there is a wireless signal then there is a way for hackers to access the network. Hackers can access networked devices that have control over people’s lives. Industry standards are now requiring all wireless devices to be equipped with their own unique anti-hacker code within the device to supply a specialized layer of security. This layer of security is designed to stop unauthorized personnel from accessing the device, but the data that is sent out is still free game to the hackers. Personal data, client information, archived records, and other critical information should be stored in the cloud. IT outsourcing gives healthcare IT administrators the ability to have more control over what data is stored and where it is stored. Information is power is an old saying that still holds true today. The problem is not acquiring the data, except for marketing purposes, but storing the data. We have developed the technology to store all the data we could ever dream of, but how do we keep the data safe from natural disasters, hackers or human mistakes? We have the cloud. 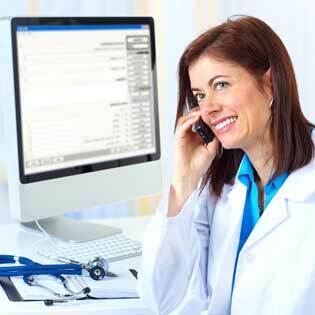 IT outsourcing adds a new advantage to the healthcare industry. IT can store data in near-real time, back it up, and store it on multiple servers. This efficient technology helps to thwart hackers and can disperse information across multiple data centers in different locations to alleviate the threat of a major catastrophe affecting stored data. IT outsourcing also helps smaller companies compete with larger leaders in the industry. Companies comprised of over 1,000 employees are spending the money to research new methods to handle cell phone data management across their data servers. The resulting innovative technology can be helpful in data security and safety, but licensing fees can be expensive, so these solutions may seem to be out of reach for smaller agencies. An outsourcing provider can purchase the licenses in bulk which saves the provider a lot of money, and in turn, makes it possible for the provider to sell the licenses at a reduced rate to those facilities that employ under 1,000 people. This helps level the playing field of industry competition. Make sure your phone is locked with a PIN or fingerprint scanner at all times. This adds a level of safety in case the phone is lost or stolen. Report the phone lost or stolen immediately. IT can perform a remote wipe of the phone destroying all the data from any location. Back up all your corporate data to the cloud. Do not let any of the data reside on your phone. Make sure two-factor authentication is active anytime you contact the corporate servers. Only connect to your corporate server via virtual private network (VPN) connections, and be sure to utilize all of the safeguards your IT department has installed onto your phone. Cell phone hacking is becoming more popular, especially in the healthcare industry. Hackers can access a cell phone, and from there connect to a laptop or other networked device to gain access to corporate servers. They may not want access to the main servers, but to the data on the phone, such as address lists and email accounts. This allows them to send spam under your name to those on your contact list. IT outsourcing can either take care of all your security needs or help to act as a second layer of protection. Depending on local regulations and state laws, healthcare facilities may be obligated to secure their data in the best possible way. In many cases, this is through the use of cloud technologies, providers, and IT outsourcing. Get a free assessment today and see how TOSS can help you provide the support you need on all your IoT devices.